Catalan leader Carles Puigdemont left the parliament chamber to shouts of “president” on Friday after Catalan lawmakers declared independence in a stunning show of defiance to the central government. Puigdemont was accompanied by mayors who had come from outlying areas who brandished their ceremonial batons and sang the Catalan anthem “Els Segadors” (The Reapers). 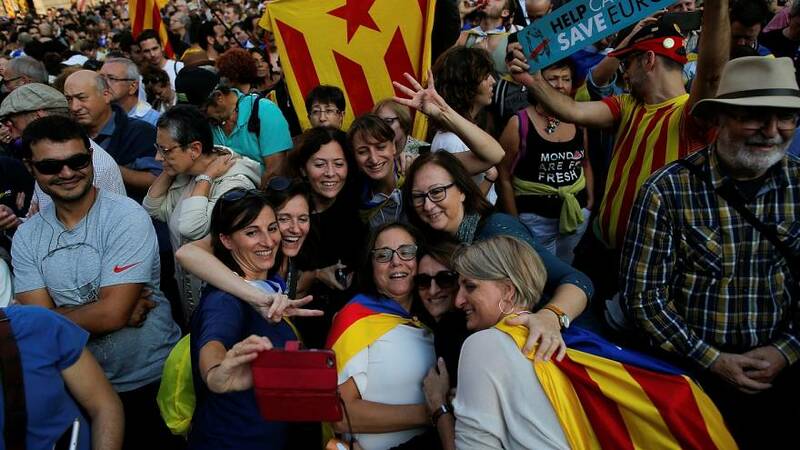 The Spanish government quickly moved to impose direct rule over Catalonia, stripping the region of its autonomy less than an hour after the declaration. Although the Catalan declaration appears to be a doomed gesture, both sides’ moves take Spain’s worst political crisis in four decades to a new and possibly dangerous level. Spanish Prime Minister Mariano Rajoy called for calm and said the rule of law would be restored in Catalonia, where secessionists have long cherished the dream of a separate nation. Rajoy later convened his cabinet to adopt the first measures to govern Catalonia. This could include firing the Barcelona government and assuming direct supervision of Catalan police forces. How direct rule would work on the ground – including the reaction of civil servants and the police – is uncertain. Some independence supporters have promised to mount a campaign of civil disobedience.